From a Spirit from JSU press release: Spirit from JSU is pleased to announce that Dr. Chip Crotts will return as brass caption head for the corps' 2007 season. 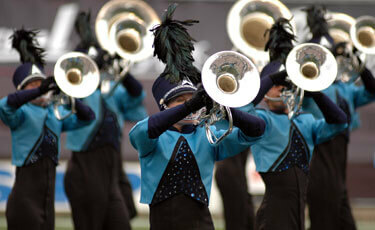 The brass program saw tremendous growth in 2006 and the return of the trademark "Spirit Sound" in Crotts' first season with the corps. Crotts is professor of trumpet and director of jazz studies at Jacksonville State University in Jacksonville, Ala. A Grammy-nominated performer, Crotts has toured with Ray Charles, the Manhattan Transfer and Maynard Ferguson, and is in demand as a first-call player for national touring companies. Spirit Executive Director Ken Bodiford said: "The level of musicianship and positive approach Chip brought to the corps in 2006 has established a foundation for continued growth in the 2007 season and beyond. We are very excited about his return to the corps." Visit www.spiritdrumcorps.org to see bios for all 2007 Spirit brass staff members.